In fundraising, we tend to talk about “annual” and “major gifts” as if they are totally separate entities. And sometimes they are. Small gifts that people give year after year after year are clearly “annual” and no one confused them for anything else. But sometimes—often in many cases—the gift that a donor gives every year is greater than the threshold of what the organization calls major. A “conundrum” is a puzzle, a mystery, a problem. And clearly, if for example, your organization considers $5,000 a major gift, what is the puzzle, mystery or problem with this major gift? I submit that to this person—the one who can give you $5,000 (or whatever your major gift threshold is) or more every single year—does not consider this a major gift. To them, it is an annual gift and while you should recognize their generosity, you should also be cultivating them for the occasional truly major gift. A major gift should stand at the intersection of your donor’s philanthropic goals and your organization’s needs. 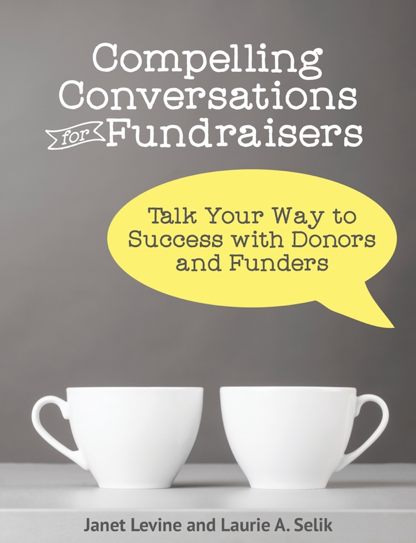 Figuring out where that intersection is takes time and it takes building a relationship with your donor. Annual gifts tend to focus on what the organization needs. Smart organizations match those needs to a larger community need—if we help the homeless get shelter, we also help the larger community by removing the need for tent cities; if we educate at risk students, we help employers by creating an educated workforce and we help to keep crime down. Major gifts, however, starts with why the donor cares about what we do and from that, what the donor hopes will happen because of his or her gift. Discovering what those are takes asking probing questions, listening to the answers, taking time to craft a gift that works for all involved. Major gifts have a dollar amount threshold because while gifts under that amount are important, important, we typically don’t have the ability to spend the time needed (or, frankly, to pay the skilled development officers) to get to an appropriate and satisfying yes. Yes, sure, we’ll meet one on one or in very small groups with donors below that threshold—but only if they are above a lower bar. We call these donors mid-level, and they are where development staff begin to get to know those potential truly major givers. But even here, time matters, and what will be a “one and done” cultivation and solicitation cycle for a mid-level gift, would only account for the start of a major gift effort. The major gift conundrum starts when you have loyal, big givers. The puzzle you must work out is how and when to approach them to consider a truly major gift while continuing their annual support. Janet Levine Consulting works with nonprofits, moving them from mired to inspired. Learn more at www.janetlevinecosulting.com. While there, sign up for our newsletter and do contact us for a free, 30-minute consultation.